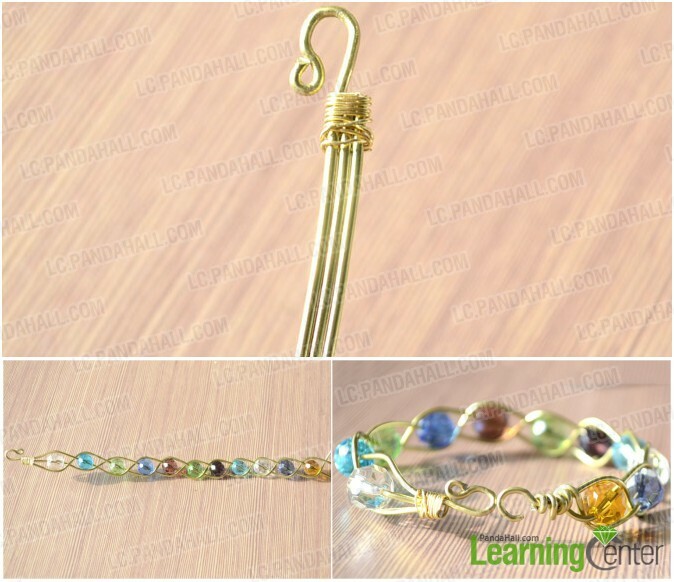 Summary: This fantastic braided wire and beads jewelry projects is the thing for you if you are seeking for a newly method to make creative handcrafts. People always like to braid jewelry with thread & cord, but today I will introduce to you a new way to make a 3 strand braided wire bracelet with beads. 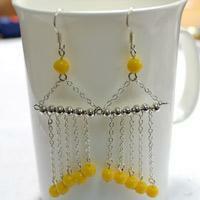 I hope this wire and beads jewelry project will bring you a little surprise. 1. 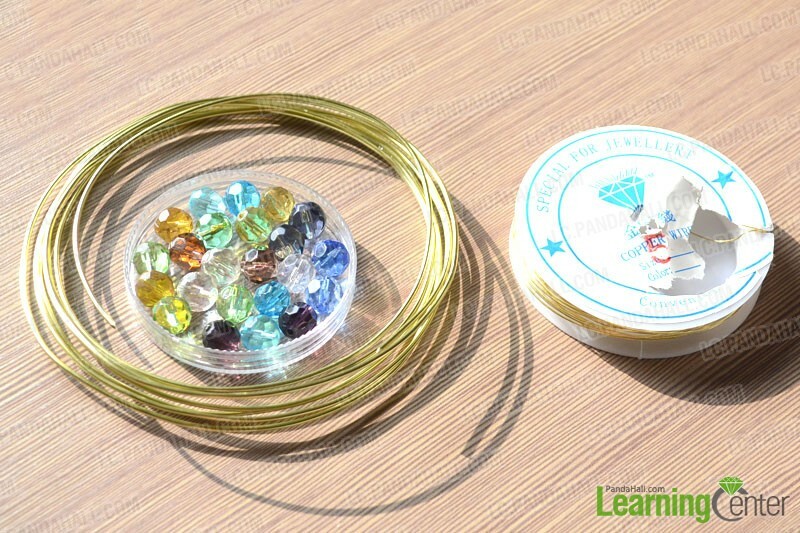 Supplies you will need in the wire and beads jewelry projects: 1.5mm aluminum wire, 10mm faced round glass beads and 0.5mm brass wire. 2. Prepare 3 piece of aluminum wire with 30cm, using round nose plier to make a hook clasp with one wire, wrapping the top of all of the wire with 0.5mm brass wire. 3. 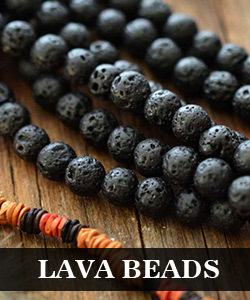 Start to compile three strands braided while you are sliding beads. 4. Once it has reached for your desired length, secure it by holding two wires and revolve them around the remaining wire until it wrapped several circles, cut the extra part of the two ends. Loop the end of the remaining wire. The only thing you should do now is wearing your jewelry. 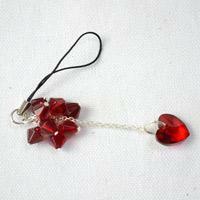 Hope this wire and beads jewelry project will be useful for you! I need to see this. Can you make a YouTube video? Just wondering, ; I so love this bracelet!